LONGBOAT KEY, Fla -The United States Coast Guard Auxiliary (USCGAux), Longboat Key, announced that the Cedars Tennis Resort & Club (Cedars), 645 Cedars Court, Longboat Key, FL 34228, will host a food drive to support the men and women assigned to the U.S. Coast Guard (USCG), Station Cortez on Saturday, February 2, 2019 from 10:00 a.m. to 2:00 p.m.
T he USCG, part of the Department of Homeland Security (DHS), are the only members of the U.S. Armed Forces to be affected by the partial government shutdown, and have not received any salary for over a month, causing undue hardship, while still performing their assigned mission with honor, respect, and devotion to duty. Cedars would like to help our local unsung heroes, who answer the call and risk their lives on a daily basis regardless of being paid, by volunteering to be a focal point for the community, to thank these brave men and women in their time of need. Among the non-perishable items that can be dropped off are to: Canned goods (meat, fish, vegetable, fruit); cooking oil; rice; juice / juice boxes; cereal; condiments (sugar, ketchup, mustard, mayonnaise); coffee/tea; paper goods; baby diapers (all sizes); personal hygiene items (deodorant, toothpaste, shampoo, soap). If you can't be present during the actual event, Cedars will gratefully accept donations in advance. Those wishing to make a monetary contribution can make a check payable to: Sun Coast Chief Petty Officer Association. Uniformed members of the USCGAux, Longboat Key, will be present to personally thank those who stop by to support this effort and will deliver this much needed help to those who help us. For further information on this event, call Cedars at 877-670-1778 or the USCGAux, Longboat Key at 941-388-1033/ www.CGAuxLBK.org. The United States Coast Guard Auxiliary - Serving our Country, Serving our Community, Saving Lives since 1939. For more information, please visit www.cgaux.org. Note from Cedars: Although the government has reopened, it is for a limited time and these families have already been affected so much. We hope this small act can alleviate some of the hardships they have recently endured. Sarasota Powerboat Grand Prix Festival kicks off the festivities in the area. Marauder’s Baseball Game and Fireworks: It doesn’t get more ‘American’ than baseball and fireworks. The Marauder’s take the field at 6:30 with the post-game fireworks show immediately following. Tickets rage from $6 – $10. Annual Freedom Fest Parade at 9 AM: Commissioners, police and fire rescue personnel are in the parade along with children who wish to dress up and walk their pets. Parade line up begins at 8:30 a.m. on Bay Isles Road. Activities, food and drinks and children’s game will take place in Bicentennial Park, next to the Town Hall. Privateers Annual 4th of July Parade, 10 AM to Noon: The parade route will take place from Coquinia Beach (south entrance) to City Pier at Anna Maria. 3rd Annual Myakka Kayaka 4th of July Jam Blast, 11 AM to 4 PM: Featuring live music and craft beers. Free admission. Kayak launch starts at 8 AM. 26th annual 4th of July Fireworks Display, 9 PM: Fireworks over Siesta Key are blasted off just north of the volleyball courts, making viewing good from anywhere south and along Crescent Beach (south of Siesta Public Beach), out on the Gulf or from the Intracoastal waterway. All American Barbeque and Independence Day Celebration on the ground of Selby Gardens, 6 – 10 PM: Four premier barbecue pit master vendors, live music from the Lauren Mitchell Band and family activities are all part of the celebration, plus enjoy the fireworks over Sarasota Bay. $30 for members, $35 non-members, 11 and under are free. Part of the Suncoast Offshore Festival, viewing is free from anywhere downtown, including Bayfront Park and Island Park. The display is an awesome sight from a boat anchored on Sarasota Bay. Longboat Key, FL (July 2, 2015) – Cedars Tennis Resort & Club attains membership to the United States Tennis Association (USTA). The membership will allow the resort-style property on Longboat Key to apply to host USTA tennis events; introducing our club to tennis players and their families from around the United States. Hosting USTA events allows Cedars Tennis Resort & Club members an opportunity to be involved in mentoring young and up-and-coming players. The benefits don’t stop there, being involved with the USTA offers our tennis professionals access to USTA programming, as well as access to grants and scholarships. Cedars Tennis Resort is a luxury vacation rental community on Longboat Key, where world-class facilities, magnificent beaches and tropical sunsets are daily occurrences. This village-like townhome community features spacious living and dining areas and full-size kitchens. Choose from various unit styles including one- and two-bedroom units. There is something to suit every mood at Cedars Tennis Resort – a junior Olympic swimming pool with Tiki Bar, on-site restaurant, Cedars Café & Tiki Bar, fitness center, fishing pier and world-class tennis facilities are just some of the amenities you can enjoy while staying at this resort. To inquire about Cedars Tennis Resort call 877-670-1778 or visit the website at www.CedarsTennisResort.com. You just booked your entire family for a beach vacation on Southwest Florida’s Gulf Coast, and at some point during your quest to pack up, you’ll probably ask yourself, “what should I bring with me? Is our vacation home fully stocked?” The answer is ‘YES’! Your RVA vacation rental will come fully-equipped. In most cases, the unit will have a fully stocked kitchen and if not a full kitchen, a kitchenette. All units are fully-furnished and come with linens and towels for your entire party. Do you enjoy cooking on vacation? We recommend getting two large pill boxes (usually available for purchase at your local Dollar Store) and filling each box with your favorite spice and spice blends. Label the back of the containers using a Sharpie with the name of each spice. Now, all you have to do is plan your menu, and shop at our local supermarkets for fresh veggies, fruits and meats. All of our rentals either have a washer and dryer in the unit or are easily accessible. So feel free to pack lighter on your clothing, since you’ll be able to do laundry during your vacation. Should you need any assistance before your visit, or during your stay, contact our Vacation Planners at 800-237-9505. Or you can download the FREE RVA mobile APP for vacation information, local coupons and more! 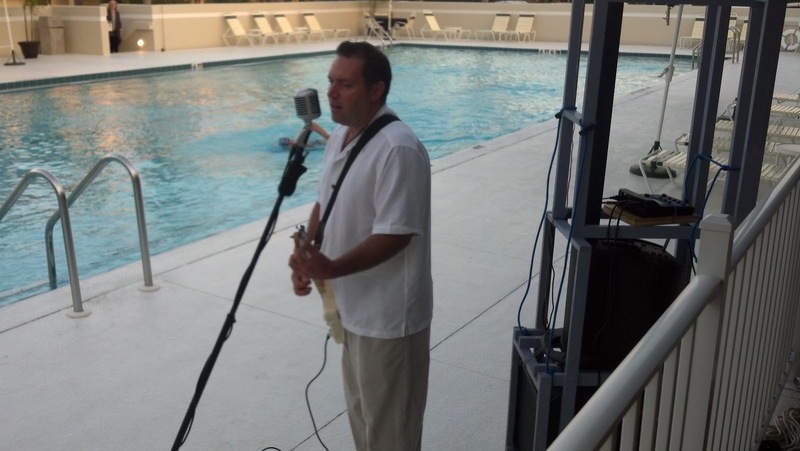 Longboat Key, FL (September 17, 2014) – Cedars Tennis Resort is pleased to welcome Tennis Pro Dave Sherwood. With 25 years experience, Dave brings knowledge in directing programs, teaching and coaching. A certified tennis professional for the past 25 years, Dave holds a degree in Recreational Leadership with a major in Tennis Management from Tyler, Texas. Dave has trained and coached several National and Sectional ranked adult USTA teams, as well as designed and implemented several Junior Tennis Academies. His accomplishments include: managing and training over 20 Tennis Professionals, attending over 100 tennis lectures and seminars, being a member of the Wilson Advisory Staff and graduating from Welch’s Har-Tru Court Maintenance School. Previous positions in various capacities in the tennis industry include: Plantation Golf & Country Club in Venice, Florida, Fincastle Country Club in the state of Virginia and Columbia at Antioquia Tennis Club in the city of Medellín, Antioquia, Colombia. Dave will offer a range of instructional services including, private and semi-private lessons and skill clinics. As an integral part of the Operations Team at Cedars Tennis Resort, he will work closely with the Tennis Committee to coordinate and participate in a variety of round robin and social events throughout the upcoming season at the club. Cedars Tennis Resort is a luxury vacation rental community on Longboat Key, where world-class facilities, magnificent beaches and tropical sunsets are daily occurrences. This village-like townhome community features spacious living and dining areas and full-size kitchens. Choose from various unit styles including one- and two-bedroom units. There is something to suit every mood at Cedars Tennis Resort – a junior Olympic swimming pool with Tiki Bar, on-site restaurant, Cedars Café & Tiki Bar, fitness center, fishing pier and world-class tennis facilities are just some of the amenities you can enjoy while staying at this resort. Longboat Key, FL(December 5, 2012) On Wednesday, November 28, 2012, The Cedars Tennis Resort welcomed members for an evening of entertainment, refreshments and mingling with their RVA, Resort Vacations team. Members relished in new menu items that will debut at Cedars Caf & Tiki Bar after the re-launch in mid-December. The culinary treats were prepared by Longboat Keys very own Hal Christensen, of Harrys Continental Kitchens, who is the new managing partner of the Cedars Caf and Tiki-Bar. The festivities were capped off by the relaxed island sounds of Mike Sales, a local musician, who performed live and provided an atmosphere of fun, island flair. Cedars Resort & Tennis Club features tri-level rental townhouses with one-, two- or three-bedroom units. Each townhouse in this village-like resort is complete with a fully equipped kitchen that includes a full breakfast bar and spacious living and dining areas. 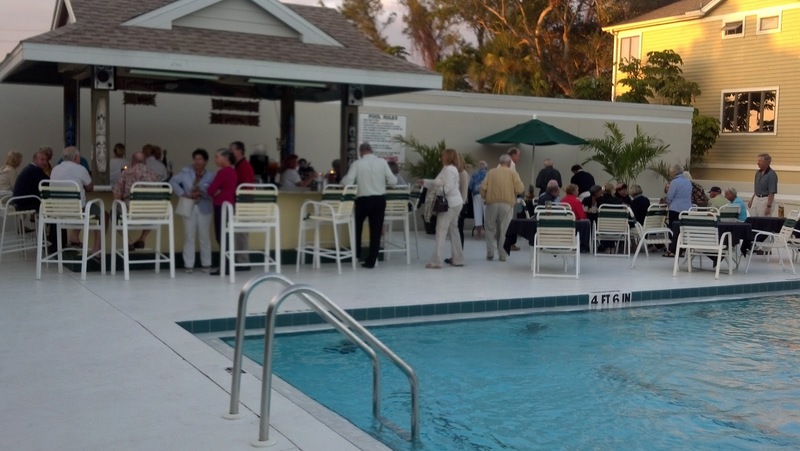 Cedars Resort offers a junior Olympic swimming pool with Tiki bar, restaurant, 10 Har-Tru tennis courts and Pro shop, fitness center, fishing pier that overlooks Sarasota Bay, along with bicycle availability. To inquire about Cedars Resort & Tennis Club, 645 Cedars Court, Longboat Key, FL, call 800-237-9505 or visit www.CedarsTennisResort.com. RVA Longboat Key offers numerous homes, condominiums and resort-style properties on or near Longboat Key beaches. Other RVA vacation rental locations include: Sarasota, Lido Key, Siesta Key, AnnaMaria Islandand Bradenton. Each Vacation rental is fully furnished and vacation ready. For more information log onto www.rvafl.com or call 800-237-9505. RVA, Resort Vacations, is one of the nations leading vacation rental companies in Southwest Florida. RVA is the largest management company of vacation condominiums, homes and resort-style properties on Floridas west coast, based on a portfolio of over 300 units. The Southwest Florida inventory includes premier beach destinations like: Anna Maria Island, Bradenton, Longboat Key, Lido Key, Sarasota and Siesta Key. Longboat Key, FL (September 25, 2012) - On Monday, September 24, 2012, eight employees at Cedars Tennis Resort were educated and certified in Cardiopulmonary Resuscitation (CPR) and Automated External Defibrillator (AED). Volunteer President with the Longboat Key Fire Rescue, Jeorge Alvarez, taught the class of eight. To help educate our members and guests, signs are positioned around Cedars Tennis Resort to alert them where the AED is located for future reference and ease of use. We think this training is invaluable to our employees, members and guests, said Trevor Hind, Chief Operating Officer of RVA. Should any member or guest ever need medical assistance in the future, I am confident our staff at Cedars Tennis Resort will be able to assist until emergency medical help arrives. We are committed to providing service levels that not only meets expectations in terms of quality, but assure our members and guests that their safety and well-being is equally important, said Larry Starr, Chief Executive Officer of RVA. This is one more step in our ongoing efforts to provide a high quality Club experience. Cedars Tennis Resort features 10 Har-Tru tennis courts, a Pro shop and tri-level rental townhouses with one-, two- or three-bedroom options. Each townhouse in this village-like resort is complete with a fully equipped kitchen that includes a full breakfast bar and spacious living and dining areas. 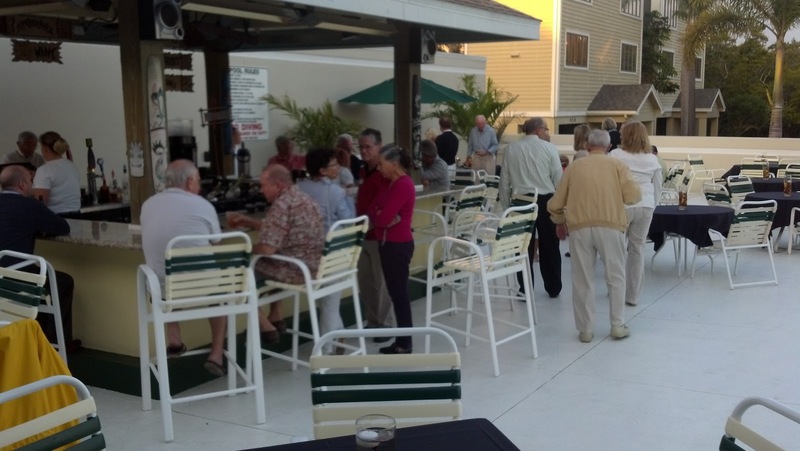 Other Cedars Tennis Resort amenities include Cedars Caf & Tiki-Bar managed by Hal Christensen of Harrys Continental Kitchens, a junior Olympic swimming pool, fitness center, fishing pier that overlooks Sarasota Bay, along with bicycle and kayak availability.